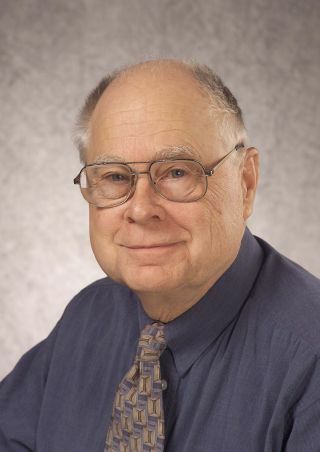 Bill Borucki, the principal investigator for NASA's Kepler Space Telescope, will be awarded the National Academy of Sciences' 2013 Henry Draper Medal for his work on the prolific planet-hunting mission. "This is a commendable recognition for Bill Borucki and the Kepler mission," John Grunsfeld, a former astronaut and NASA's associate administrator for science missions, said in a statement. "It is well deserved and a tribute both to Bill's dedication and persistence and the fantastic and exciting results from Kepler." Borucki was cited for "his founding concept and visionary leadership" of Kepler, whose mission is to detect Earth-like exoplanets throughout the galaxy by what's called the transit method. The telescope picks up the tiny dips in brightness caused when a planet transits, or crosses in front of, its star's face, blocking some of the star's light. Kepler launched in March 2009 for an initial 3 1/2-year prime mission but has now been funded through at least fiscal year 2016. It has so far found more than 2,700 exoplanet candidates. To date, just 105 of them have been confirmed by follow-up observations, but the Kepler team estimates that at least 90 percent will end up being confirmed. "It has been a privilege to participate in the initial steps in the search for life in our galaxy. I would like to thank all who have worked with me to make this possible," Borucki said in a statement. Borucki joined NASA's Ames Research Center at Moffett Field in California (which hosts the Kepler mission) in 1962. His early work on the plasma properties of hypervelocity shock waves informed heat shield deisgns for NASA's Apollo mission, according to a NASA statement. The Henry Draper Medal, which comes with a $15,000 prize, is awarded about every four years for an outstanding contribution to astrophysical research. The award will be presented to Borucki during the National Academy of Sciences' 150th annual meeting in Washington on April 28.